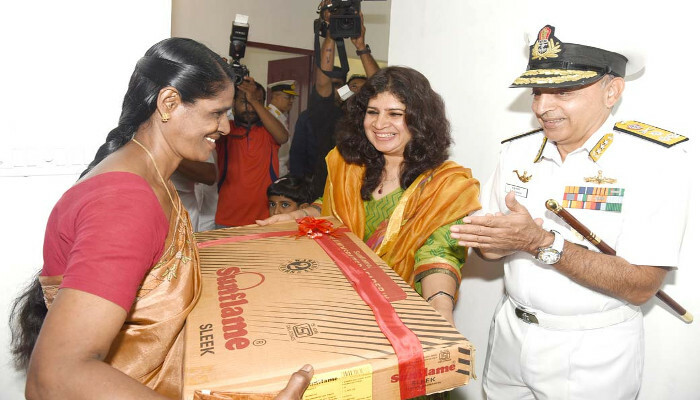 As part of the rehabilitation activities being undertaken by the Southern Naval Command after the devastating floods of August 2018, Vice Admiral Anil Kumar Chawla, AVSM, NM, VSM, Flag Officer Commanding-in-Chief, Southern Naval Command, handed over the keys of a newly constructed house, that was sponsored by the Indian Navy, to Shri Babu VK, Vevukattu at Muttinakam, on 09 February 2019. The original dwelling was severely damaged during the floods, and had to be demolished and reconstructed, at a cost of Rs. 9.35 lakhs. The C-in-C was accompanied, by Mrs Sapana Chawla, President Navy Wives Welfare Association (Southern Region), and other senior officers. 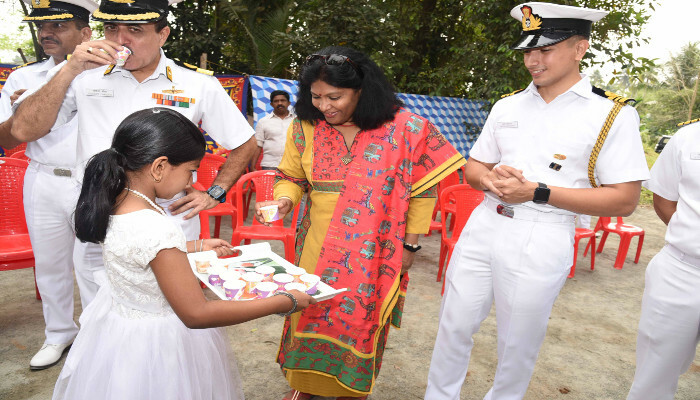 Vice Admiral Chawla was taken around the new construction and had a warm interaction with the happy family. The family also celebrated the occasion as house warming, and Mrs Sapana Chawla appropriately gifted a Gas Stove to the lady of the house, and offered her best wishes to them for starting a new life in their new house. 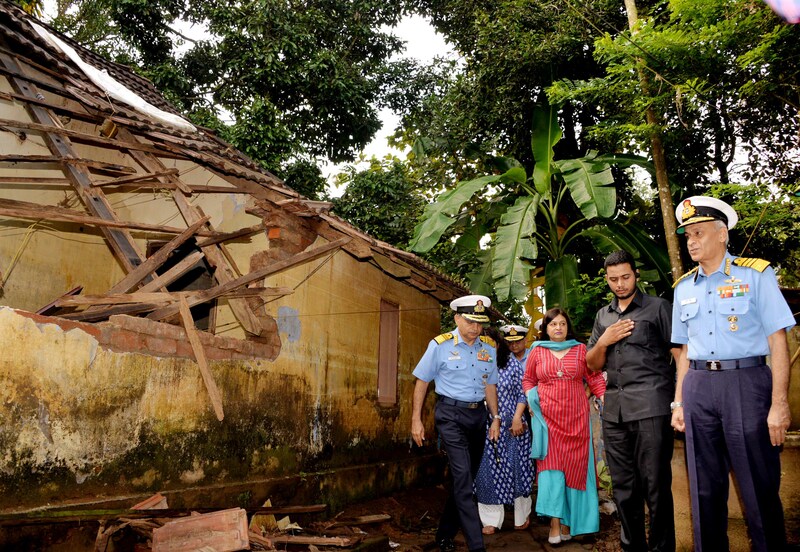 The Chief of the Naval Staff, Admiral Sunil Lanba, PVSM, AVSM, ADC, had visited the damaged house in August 2018, and had assured construction of a new house, for which he had sanctioned special funds to the Southern Naval Command. Another set of three houses are under construction at Cheriya Kadamakudi for flood victims, which are likely to be completed by next month.